Comprehensive air sealing, properly installed insulation, and high–performance windows work together to enhance comfort, improve durability, reduce maintenance costs, and lower monthly utility bills. Learn more about a complete thermal enclosure system in this fact sheet (PDF, 7.86KB). By using less energy for heating, cooling, and water heating, ENERGY STAR certified homes deliver at least 10% savings on annual utility bills. Over the 7 to 8 years that a typical family lives in a home, you can save thousands of dollars in utility costs. It's not just the amount of insulation; it's the quality of installation that makes all the difference. 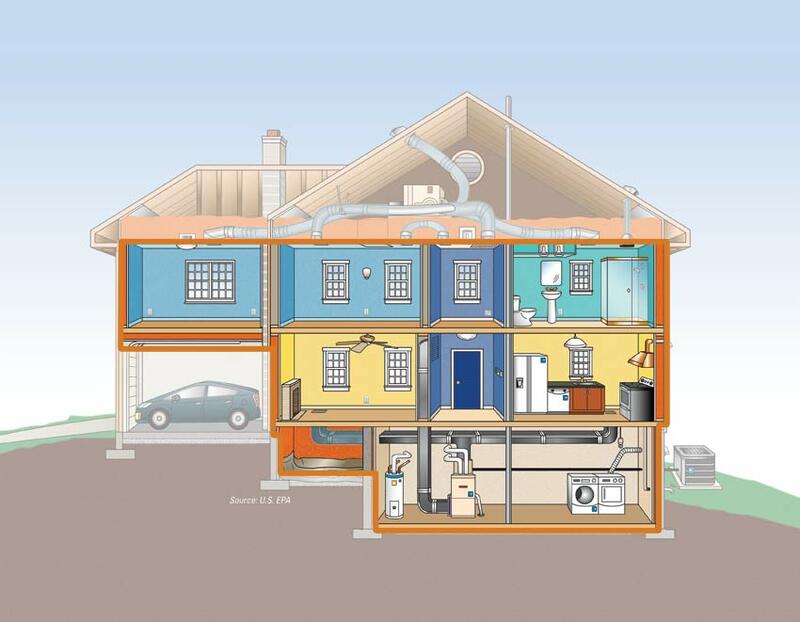 Proper installation includes careful placement to eliminate gaps, voids, and compression; complete air barriers that prevent air from bypassing the insulation; and building techniques that minimize heat flow through framing. This ensures consistent temperatures throughout the house or apartment, reduced energy use, and increased comfort. Every ENERGY STAR certified home is built with the following features. Ask your builder or leasing agent for more information.